Immigration between the United States and Canada is not something that Canadians and Americans think about as much as people from other countries. This is largely because Americans and Canadians can move between each others countries so freely. However, this open border can create a false sense of security or give Canadians a sense that the U.S. immigration laws with respect to Canadians are different or special. In fact, while there are some special visa provisions for Canadians, U.S. immigration laws with respect to Canadians are otherwise the same as they apply to all other countries. 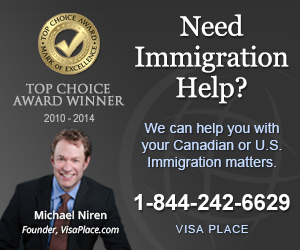 While it is much easier to enter the U.S. as a non-immigrant from Canada the immigration rules in most other situations are the same. Thus, it is important that Canadian’s understand U.S. immigration laws that affect them so they do not inadvertently get into trouble or do something that might impact future known or unknown plans to immigrate to the U.S.
Activities that Could Result in Inadmissibility or Removal from the U.S.
Avoid Activities that Could Result in Inadmissibility or Removal from the U.S. All applicants for admission to the U.S. whether as a non-immigrant tourist or an immigrant must be admissible under U.S. immigration law. While there are several reasons that a person may be inadmissible to the U.S. here is a list of the most ... Read more Activities that Could Result in Inadmissibility or Removal from the U.S.